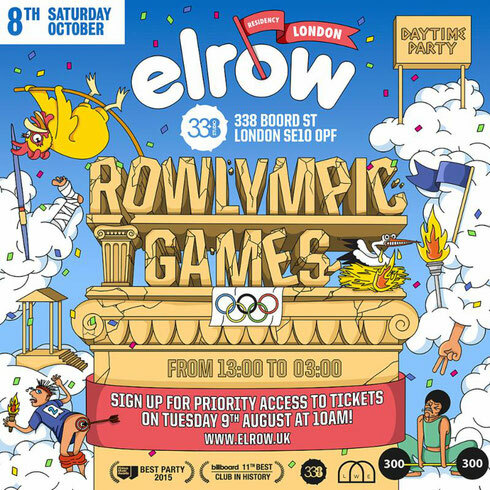 Closing their 2016 residency at Studio 388, elrow bring the Rowlympic Games to the UK for their last London show in 2016 on Saturday 8 October. As proceedings in Rio get underway, elrow recently announced plans for the ultimate toga party as they bring their off-the-wall take on the ancient Grecian tradition to London's party massive for the first time ever. Following a debut at Space Ibiza, elrow's Rowlympic Games will fuse traditional Olympic disciplines such as combat and athletics with an exorbitant dose of euphoria, debauchery and crazy antics. 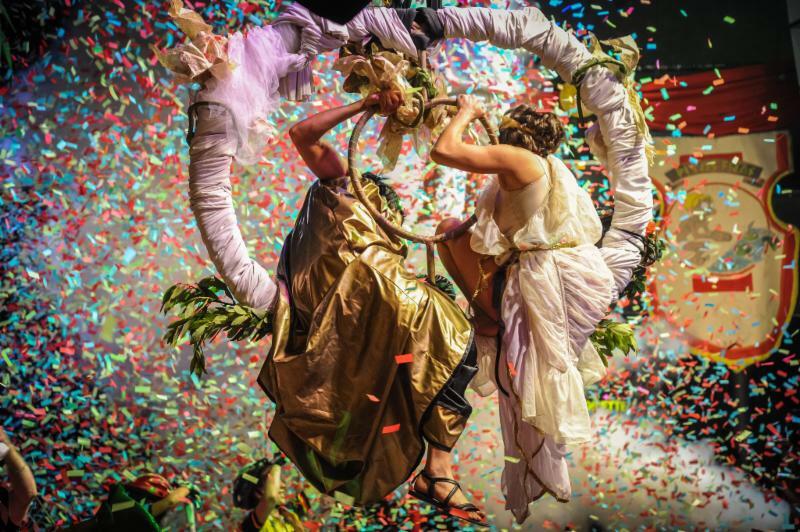 A spectacle of colour, confetti and fun will envelope the East London venue for the all-day party, keeping punters on their toes and in their togas with plenty of surprises. Music will come courtesy of secret headline guests playing alongside elrow's residents, with previous guests including Seth Troxler, Eats Everything, Skream, Jackmaster, Dusky and Timo Maas. Following their last two Studio 338 parties, tickets are expected to sell quickly for the Rowlympic Games. Pre-sale tickets are available from 10am on Tuesday 9 August and general sale at 10am on Wednesday 10 August.